‘People with passion can change the world for the better’, said Steve Jobs, and truer words were never spoken. His passion and inspiration were what shaped everything that Apple stands for. Steve Jobs was passionate about what Apple meant to his customers, and how it changed their world. Top leaders and entrepreneurs all have it...a passion for their work. As has been famously said, if you love the work you do, you will indeed find that you never have to work a day in your life! Passion is that secret ingredient that drives you to be the very best at what you do. As an entrepreneur, if you stay passionate about the value your brand has to offer, you will climb the ladder to the top of your field. 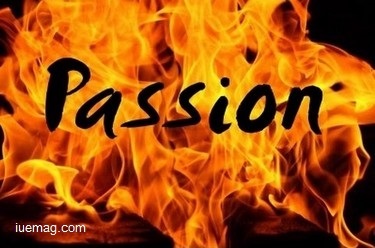 How do you perceive your passion, and find out what it is that enthuses you? It’s simple - just follow your heart. If it excites you, it’s probably something you’re truly passionate about. In today’s world, there is a huge market out there for turning your passion into a unique and innovative career that brings in the bucks, as well. PMP Certification will assist you to overcome regular obstacles. So how do you turn your passion around and make it work for you? Here are some tips. 1. Discover what you love before you get your first job. You may have always loved helping your mom in the kitchen as a child. Maybe a scrum master certification, turning out delicious little morsels of goodness, is right for you. 2. Don’t expect a risk-free journey. The path to success doesn’t always run smooth. Steve Jobs was actually fired from his own company...but he persisted in doing what he loved, and ultimately they begged him to come back on the board. 3. Your degree doesn’t always matter. Quite often we all end up in jobs that are not related to the education we received in college. What excites you may not require a college degree. Roald Dahl, best known for his timeless children’s stories, first became interested in writing for children after he became a father- and started making up bedtime tales every night for his own children. 4. Find what you love, and what you excel at...and combine them both. Build a career out of what you love to do, and what you are good at doing...and you’ll have a career you are passionate about! 5. The Power of Attraction- your secret to success. Rhonda Byrne’s famous book The Secret showcases the power of attraction in career building. When you are passionate about what you do, the sparkle that you send out attracts others to you, and you get all the support you need to succeed. 6. Whatever you do, do it with passion and to the best of your ability. Not everyone can be a CEO, and that’s a fact. So be passionate about doing your best, and you will achieve much more than you could imagine. We have all heard of truck drivers who end up owning a whole fleet of trucks...or a newspaper delivery boy who starts his own magazine shop! 7. Don’t be afraid to switch your career. If you find that your work doesn’t excite you, it’s never too late to make a change. Switching pathways to feed your passion may help you to flourish in your career. Live and work with passion ...and build a career you love! Additional Resource(s): Grey Campus: An Online & Boot Camp Provider for PMP Certifications. Shivam Abrol is a contributing writer at Inspiration Unlimited eMagazine.